©1972 Tenn. Recording and Publishing Co., Inc. The test of any great group is their staying power... the ability to sustain their popularity; to continue to be what the show business world refers to as "box office." 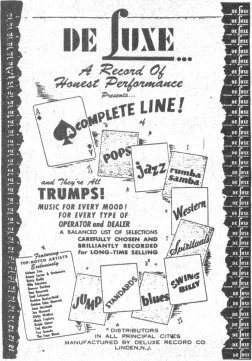 In the field of entertainment, this greatness is measured by a number of standards. Radio and television shows are the victims or victors of audience ratings. Motion pictures and Broadway plays are similarly affected by attendance figures; night club and concert performers also depend on their drawing power. So it follows that recording stars are judged according to the position they attain on the best selling charts with each and every new release. 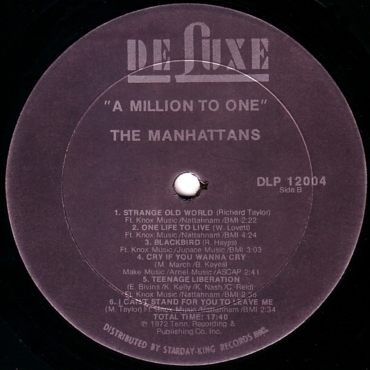 The Manhattans easily make the weight in this division. For the past twelve years, The Manhattans have consistently recorded a seemingly endless string of best selling records and they have matched this consistency with a long list of sell-out performances in night clubs, theatres, and concert halls. 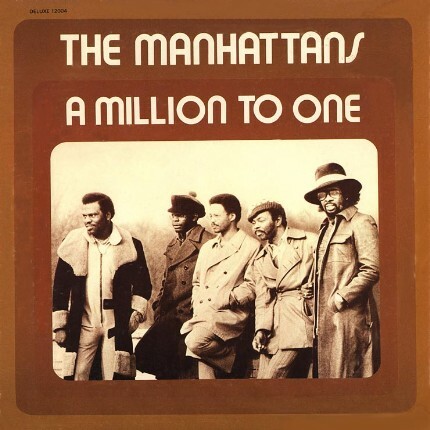 This album is a further tribute to the greatness that is uniquely The Manhattans. Let the "new" sounds have their say, but let's be grateful for the likes of The Manhattans who will not cut themselves off from the past, but build upon it. This is what longevity in the brittle field of artistic success is all about. 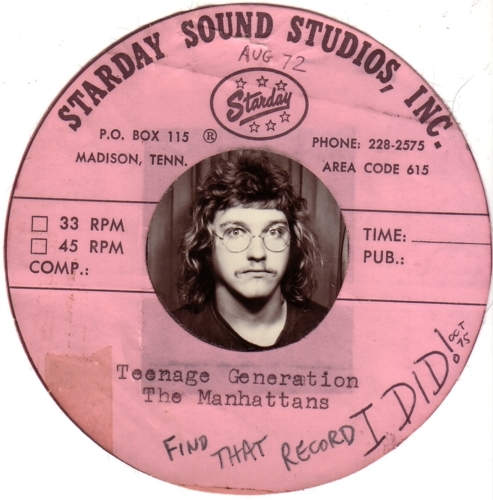 20 year old R. Stevie Moore played overdubbed lead guitar on "Teenage Liberation", as duly hired by then-current GOODS producer Chuck Sagle, a quick post-production session w/o any others present, at legendary Starday-King Studio, Dickerson Road, Nashville. Photobooth pic at right was from hours afterwards. Hear the mp3 here. ask for availability of this full, long deleted LP burned on CDR!